Our team at RAW offer an exceptional service for golf clubs looking to upgrade their course. A Golf Course Development Plan with RAW covers every step from consultation to delivery. We can create a structured schedule of work that fits in with the budget of the golf club over the desired timeframe. Through experience we understand achieving this with minimal disruption to play for the clubs members. We provide solutions that keep as many holes in play as possible along with ensuring the health and safety of golfers and construction workers. The starting point for any development plan is always understanding the goals the golf club has for the redevelopment of their course. This can be the addition of length to certain holes or most commonly the addition or removal of hazards to improve the playability and aesthetics of the golf course. 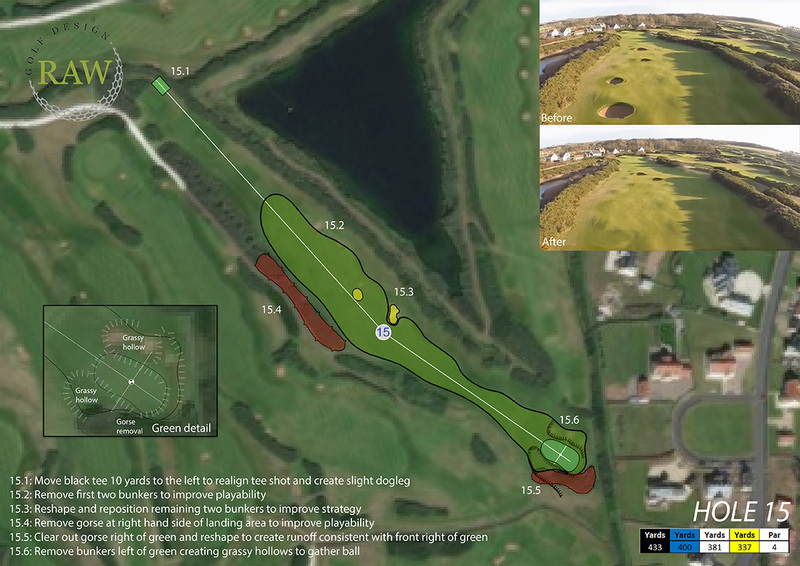 This can be achieved for your golf course, please click here to arrange a consultation.